Were you to say you’d never thought of venturing into the 19th arrondissement, we wouldn’t be surprised. For the most part, Eastern Paris has been where the working class has tried to make ends meet for generations, and La Villette’s history reflects this. You wouldn’t know it to look at the cubic-modernist arts, science centres, and colourful sculptures of Parc de la Villette, but this area used to be dotted with abattoirs and cattle markets. It was the main source of income for the working-class citizens who once lived around the Canal de l’Ourcq. This area of Paris (and its canals) have gone under intense renovations over the past few decades, creating a district of the creative arts, music, and nature. 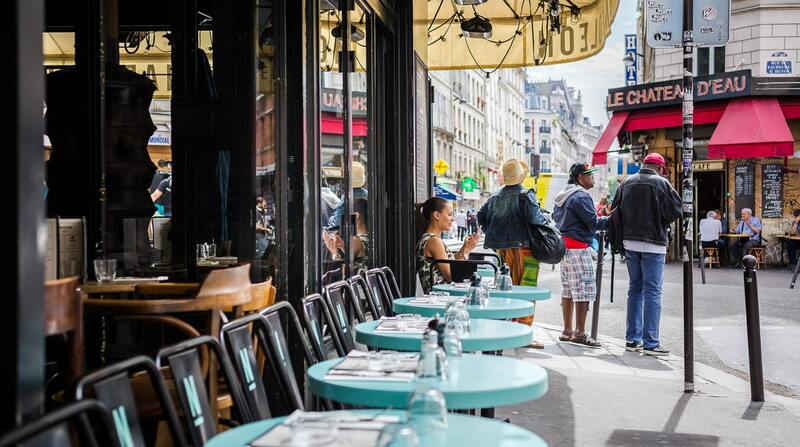 Over the last few years, more and more Parisians have relocated to the 19th arrondissement to escape tourists, and with so much to offer, ts population is only expected to continue increasing. Two Métro lines - 5 and 7 - lead up to the Parc de la Villette with the 7 to the north of the park and 5 to the south. If you fancy a TRAM RIDE, line T3B skirts the perimeter of the Parc de la Villette. 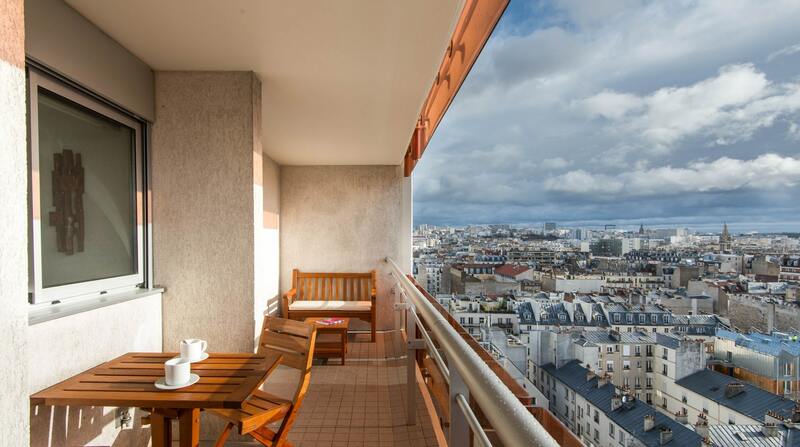 QUAY SIDE offers breathtaking views of the Parisian rooftops from this 15th-floor apartment (yes, there's an elevator!). What’s Around the Villette District? Opened in 1986 as a means of reviving the neglected district, la Villette was developed into a multicultural city park. Its neighbouring park, Parc des Buttes Chaumont, is a hub of the arts and entertainment. There’s so much to do within the park that it might be easy to get overwhelmed when looking at Google Maps or the latest Lonely Planet. Let's help you get your bearings. At the north of the park is the Cité des Sciences et de l’Industrie - the largest science and technology museum of its kind in Europe. Parents and their children can all learn something here. It’s not really a wonder that it’s one of the five most visited museums in the whole of Paris. Opposite the Cité is the spherical La Géode Cinéma, which may look familiar as it's an iconic sight, and inside is home to an Omnimax theatre. See WHAT’S ON the programme at La Géode Cinéma during your stay here. 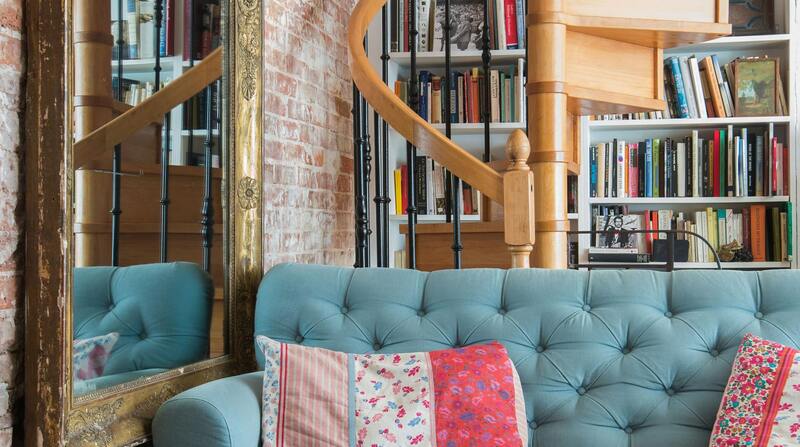 RUE DE SAMBRE-ET-MEUSE TOWNHOUSE has exposed stone and brick walls all throughout, and offers a vibrant contrast with teal and pastel splashes of colour. The Philharmonie de Paris is an ode to music in architecture. During the day, the neighbouring Cité de la Musique is host to the Musée de la Musique, which exhibits hundreds of instruments and national treasures, like Chopin’s piano. During the evening, there is a packed series of events thanks to the three different concert halls. Concert venues Le Trabendo and Le Zénith de Paris tend to pull in big name bands like Radiohead, The Rolling Stones, and Muse. 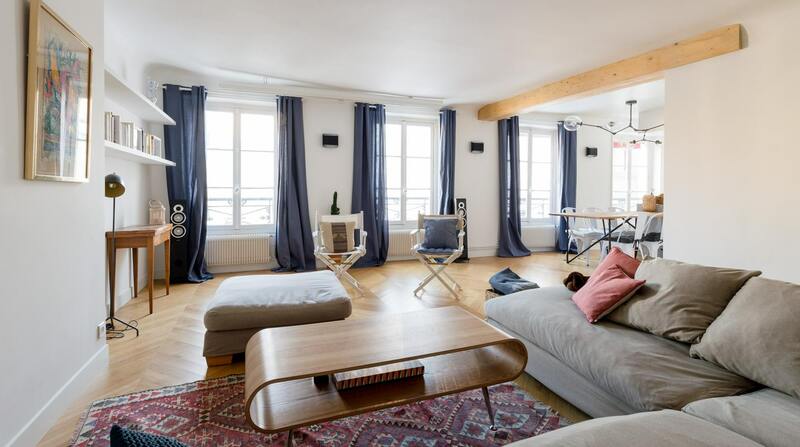 CINÉMA VÉRITÉ is a cozy two-bedroom apartment has its own secret: a home cinema and projector. Café culture isn’t as “caught up” here as it might be more centrally in the city. The area surrounding the Bassin de la Villette is packed with interesting eateries. BETWEEN INDIA AND MOROCCO offers high ceilings and skylights, with light that floods into the townhouse, and a courtyard full of tropical greenery. 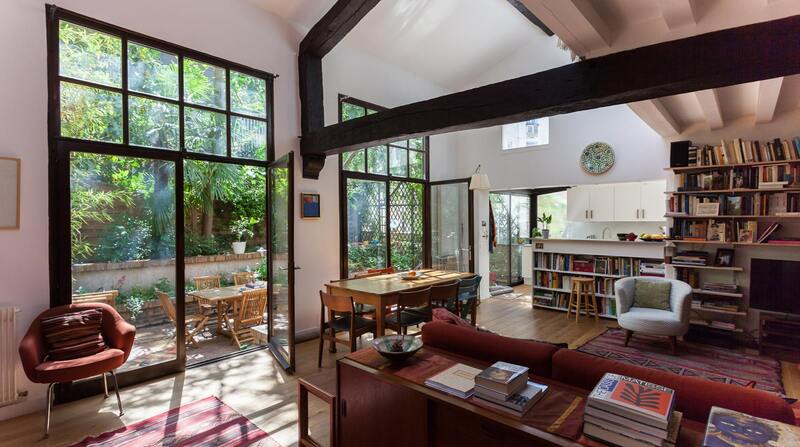 The 19th arrondissement has more to do than what’s inside the Parc de la Villette. It’s a shame that the area hasn’t quite picked up steam, but there's still plenty to do. 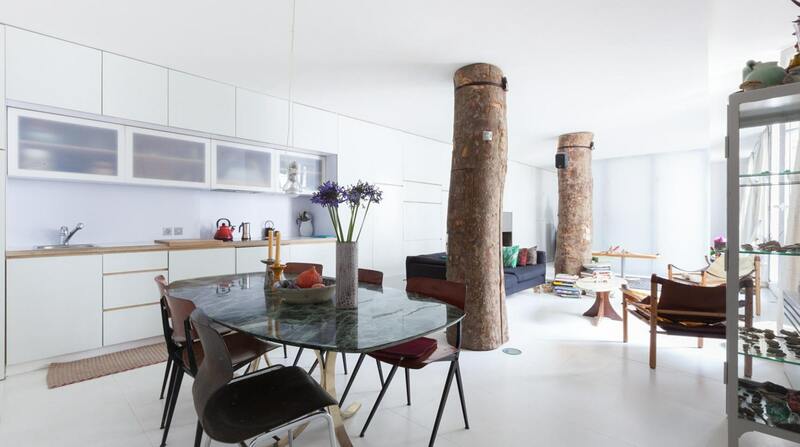 Take a boat ride down Canal l’Ourcq, over the Bassin de la Villette, and further onto Canal Saint-Martin. Rent a bicycle from the Vélib' Métropole and cycle along the sides of the canals and beyond. The unusual streets of the Mouzaïa neighbourhood are particularly distinct, and well worth a wander. At the end of the summer, the Jazz à la Villette festival hits the park, attracting jazz-enthusiasts from all corners of Europe. Popular (and free), the Cinéma en Plein Air is an open-air cinema that shows classic and recent films on a specific theme. 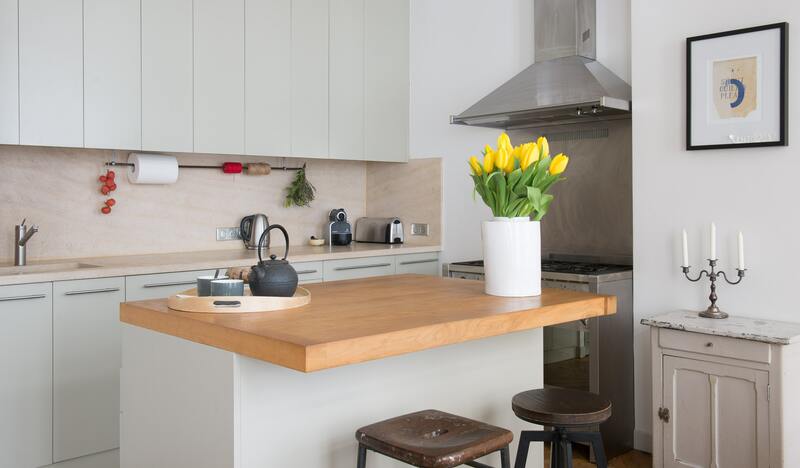 BOURGOGNE IN PARIS is set between the trendy Marais and Canal Saint-Martin area, with an amazing kitchen area. A freelance music journalist who runs exclusively on coffee and good tunes, Em is convinced she belongs in a David Lynch film with the French subtitles turned on. The Plum Guide finds, tests and reviews Paris and London's best holiday homes, so you don't have to. Just 1 in 100 homes get the Plum stamp of approval.